Weddings are romantic and beautiful in every way. They are full of love, all kinds of emotions, and the fun and flair that brings family and friends together. 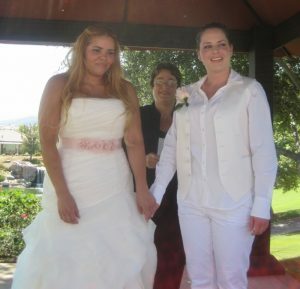 Each wedding is as unique as the two people getting married. If you’re looking for an officiant with a special delight in participating in the joy of lesbian or gay weddings near Temecula or elsewhere in Southern California, let Janet Westall of CEREMONIES guide and support you as you celebrate your marriage ceremony. With Janet Westall, you can rest assured knowing that your wedding will be absolutely perfect for you and your beloved. 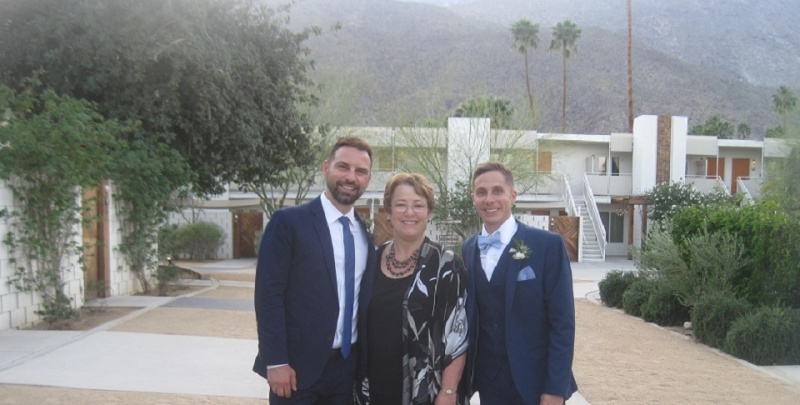 Her expertise in officiating weddings for more than 25 years means that she is well experienced at officiating weddings for members of the LGBT community in the Southern California region. 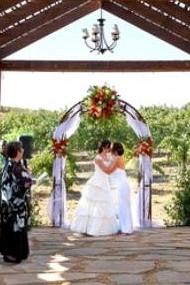 She brings tears to guests’ eyes, laughter and an enchanting charisma to every ceremony, and she’s the officiant you need for an exciting and beautiful celebration of your lesbian or gay wedding! Janet Westall works with every couple throughout the process of creating a sweet, simple and romantic wedding. You will feel comfortable and at ease from the very start. She makes sure your wedding goes off without a hitch and is as perfect as the décor, food, flowers, venue and everything else. Your day deserves to be celebrated flawlessly, so remember to call Janet Westall when you’re in the midst of planning the one day you and the one you love will NEVER forget. If you recently got engaged and are in the process of planning your wedding, let Janet Westall help you cross off “CEREMONY” from your wedding to-do list. Enjoy a call to Janet Westall today at 909-730-7342. Her gentle humor from the first call will assure you that with her as the officiant for your wedding, your day will be memorable from beginning to end.